This is going to be a series of examples if I can muster it. the first example is after 60 hours of exposure to the Curall 365. Keep in mind, it really isn't designed to be an aging lamp, although there are some applications where it shines. It tends to be much closer, but aging with the UVB tends to give softer tones, rich colors, and in the case of unfinished wood, a bit of grey. Honestly, the finish darkened it up as much as the lights did in this example, but the lights did give the wood some glow. This is not a perfectly sanded example, the lower right is relatively rough, and is darker, perhaps because it has more surface area. 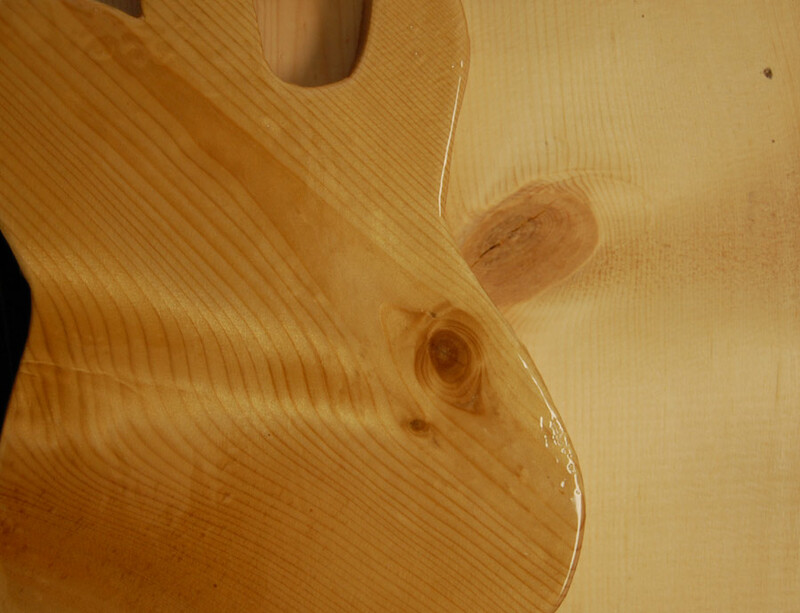 What is odd is that it has an almost luminescent/lustrous quality, and the colors change as you move the piece around. I would also note that this finish is "UV resistant", which is unusual for a UV cure resin, but regardless, it will slow down the aging process dramatically. 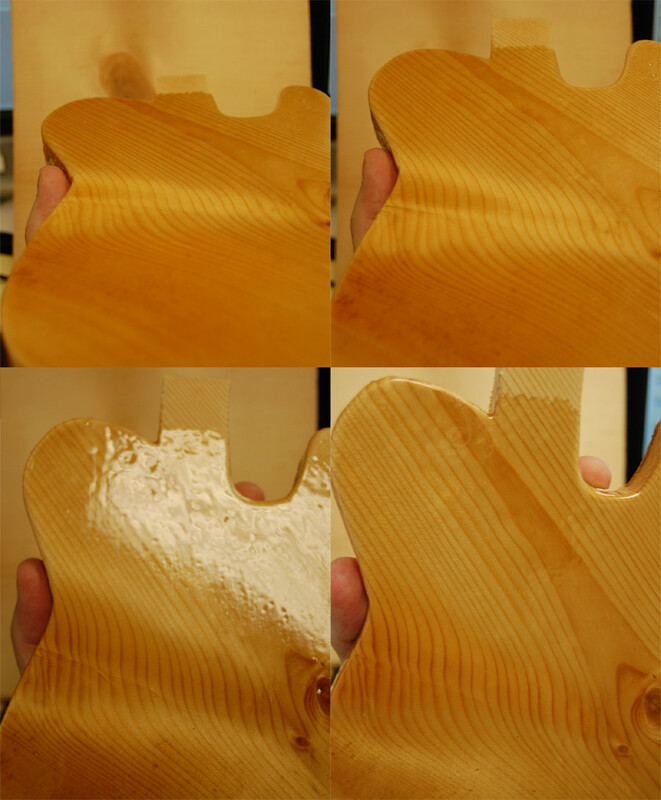 Yes, the finish is globbed on, I didn't have time for a perfect finish, I just wanted to test through a thick coat, like you would see on guitars. Now it is time to put the same slab under some serious UVB.